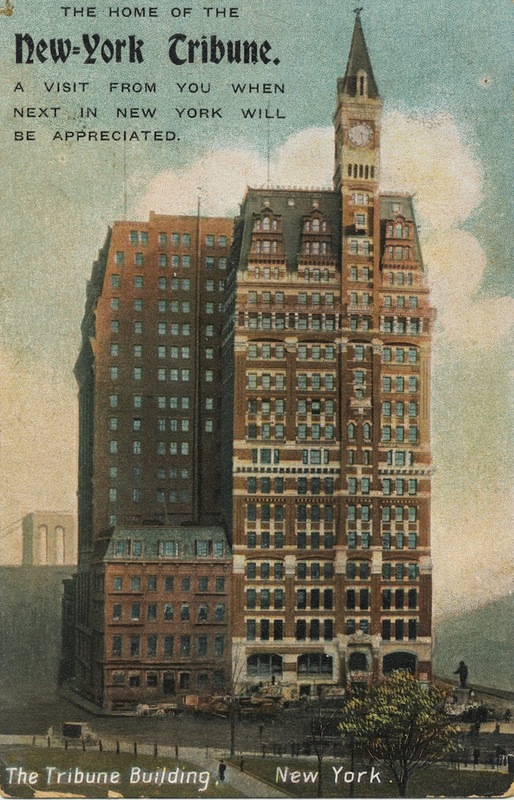 Postcard, "The Home of the New York Tribune"
In 1907, the Tribune added ten floors, framed in steel, to its original masonry building and extended eastward on the block with a 20-story annex. 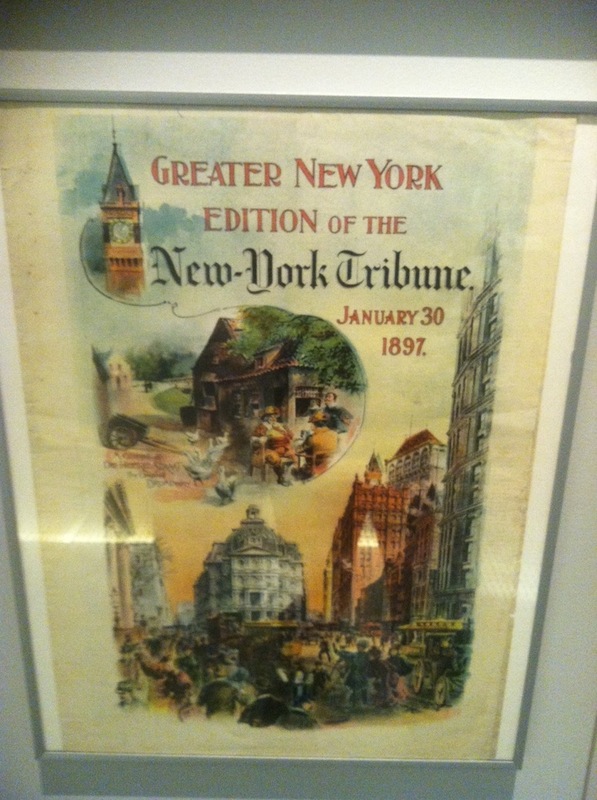 Greater New York Edition of the New York Tribune, January 30, 1897. This street scene shows the heavy pedestrian traffic on Park Row, with a group of newsboys in the foreground. The proximity of the Post Office (at center) to Newspaper Row aided the timely distribution of newspapers. The top of the Tribune's tower and a portion of the World's fa�ade can be seen at right.